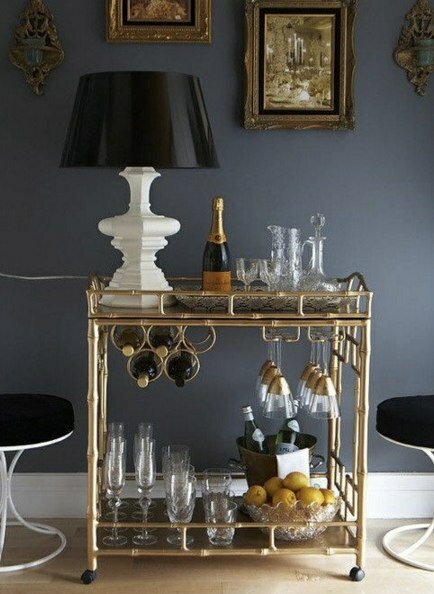 Bar cart? Yes! 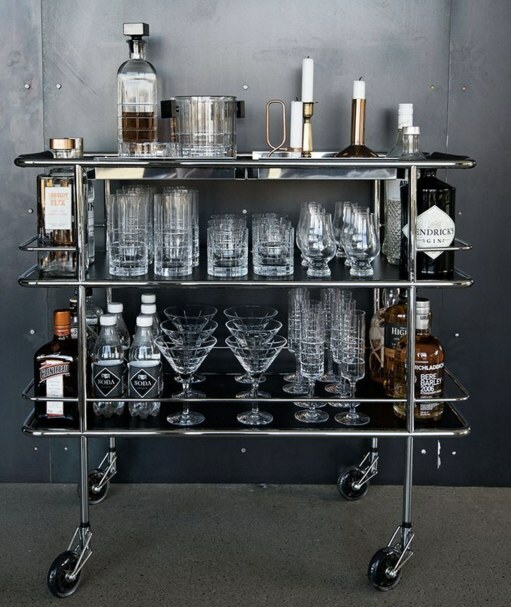 that bar trolley you see in luxurious restaurants. 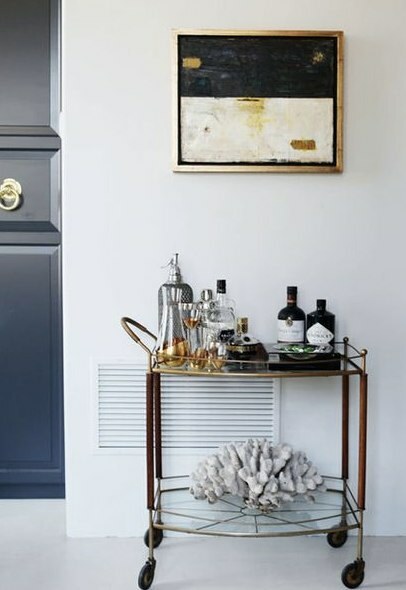 Those with the wheels or without, which some may call a tableside cocktail or simply a bar cart. This iconic furniture item makes a comeback and the good news is that you can make it work for your own home. You can choose one that compliments your style and your decor and accessorise it as you wish. 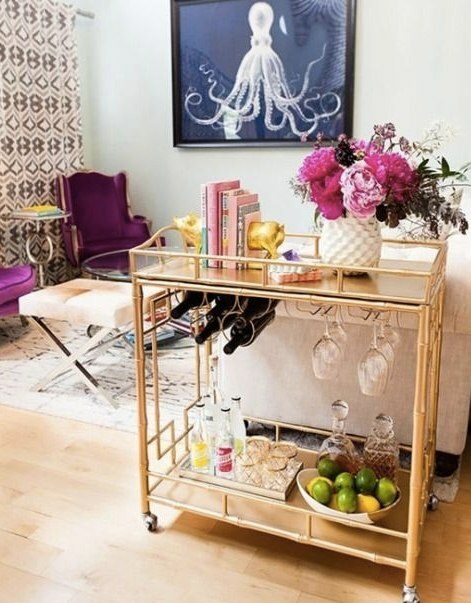 Here are our tips for styling a bar cart to give you a few ideas. 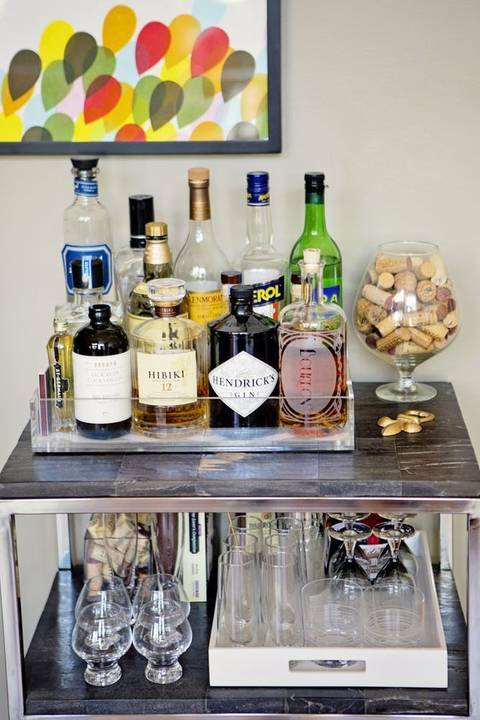 Use trays to divide the areas of your bar cart into sections for bottles, glassware and accessories. Buy an ice bucket, bottle opener, cork screw, shaker, jigger, and strainer. Search for designer’s items that have the gadget look or go for the traditional classy style. 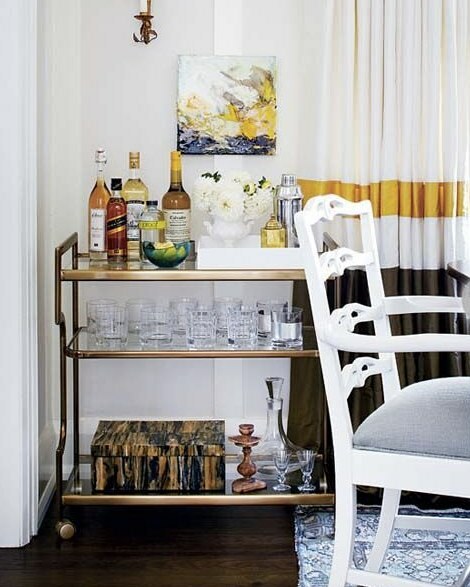 Bar carts also make for greatstorage place for extra books you dont have room for. 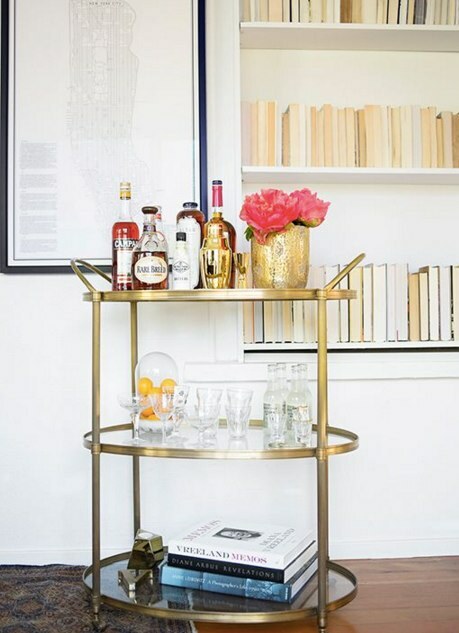 Old books or design books add lots of flair to a bar cart. 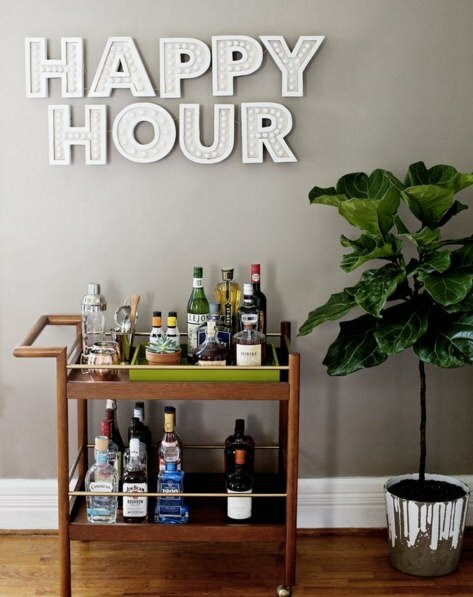 Bacardi, Smirnoff, Bailys etc.’ these are the brands that make your bar cart worth attention. Expensive whisky bottles always look attractive. A night for champagne or whiskey? Elegant glassware will look attractive even if you’re not the “drinker”. 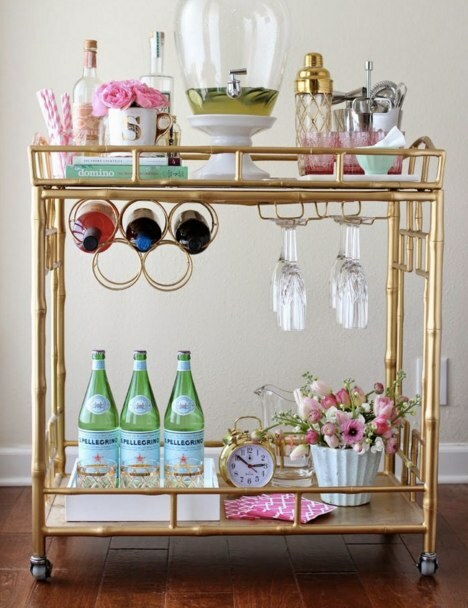 When hosting a party make sure you have the right glasses for wine, champagne and cocktails. 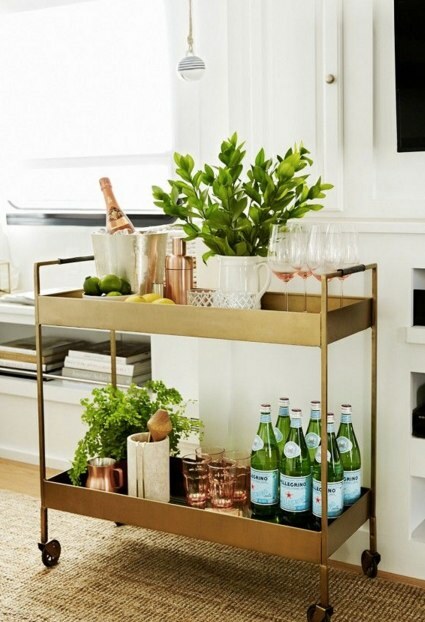 Adding greenery to your trolley creates a more fresh and fun feel. Paired with metallic finishes like these gorgeous copper trimmed glasses is very now! Use your top tier as your functional surface. Bottom shelf for a striking sculpture. Find an interesting vase to place at the corner for those refreshing flowers.